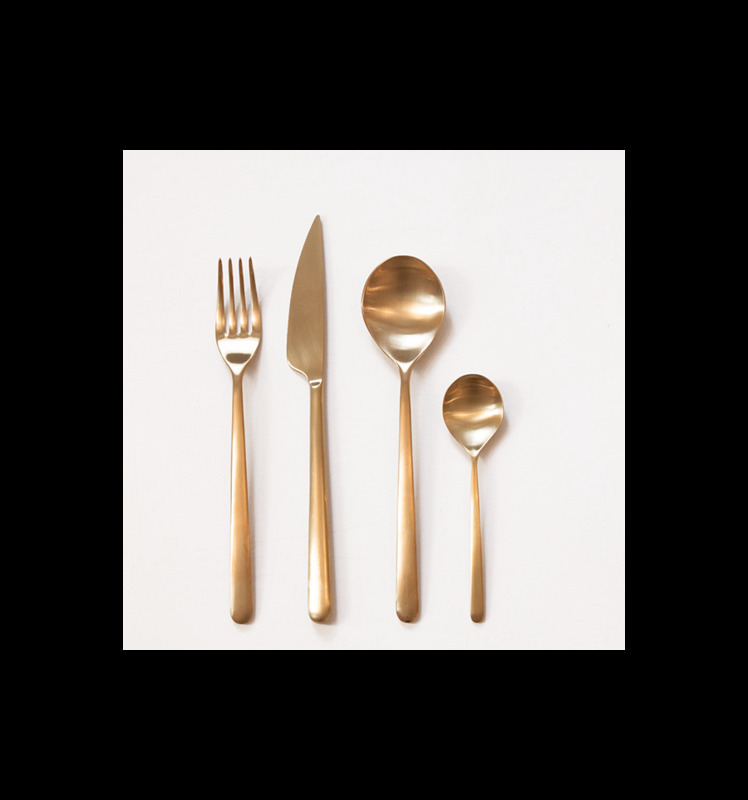 Mepra Ice cutlery in brushed stainless steel with golden finishing,a rafined and precious object for exclusive tableset. 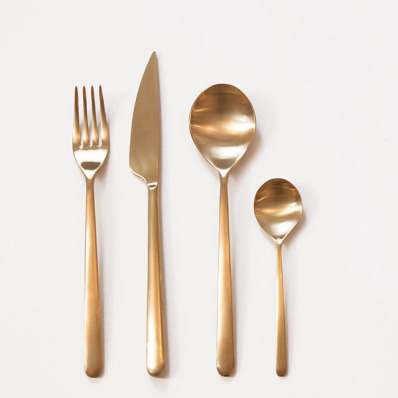 Set of 24 pieces, 6 table places. By buying this product you can collect up to 42 loyalty points. Your cart will total 42 points that can be converted into a voucher of € 8.40.